Philips are well known for their range of computer monitors, and hence it is no surprise that the spanking new Philips Brilliance BDM4037UW 40” Ultra HD Monitor is something that will definitely change the way you see things digitally — in a literal manner. 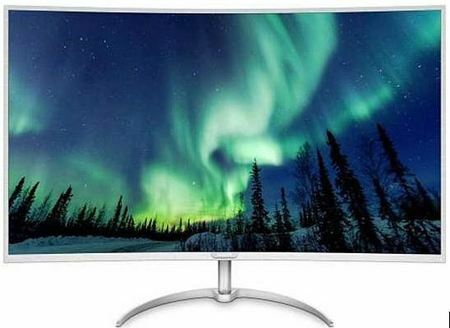 This particular display is touted to be the largest 4K curved computer monitor in its class that is on the market at the moment, where it will arrive chock-full of the latest viewing technology. Some of them include the Ultra Wide-Color Technology that is more than able to deliver a wider spectrum of colors for a true-to-life picture. The Philips Brilliance BDM4037UW 40” Ultra HD Monitor is a sleek looking display, sporting an extremely narrow bezel that will have it complement just about any modern space. It does not matter whether you are a demanding professional who needs extremely detailed images for CAD solutions while making use of 3D graphics applications, or are a bean counter who works on huge spreadsheets, the Philips Brilliance BDM4037UW 40” Ultra HD Monitor will be able to get the job done — with aplomb. Sporting an asking price of $999.99, the Philips Brilliance BDM4037UW 40” Ultra HD Monitor is definitely not the cheapest monitor in the world, but you can be sure that the level of quality delivered is far more than the conventional monitor that you find in the market. Sporting a panel that offers UltraClear, 4K UHD (3840 x 2160) resolution images, it also arrives with an advanced multi-domain vertical alignment technology that will deliver super-high static contrast ratios for that additional level of vivid and bright images, alongside extra wide viewing angles of 178/178 degree. With MultiView, users are able to enjoy up to four inputs shown on a single screen – and each of these in Full HD to boot, now how about that? Seems like the cure all for those who have long been looking for a new monitor that can do a whole lot more — and then some.